This morning I’m watching as Ethan, Ezra and Eli go through all their toys and make big decisions. We assigned to each of them a travel bin, so they could choose what they want to go in it. Whatever fits can come with us to Central America in November and whatever doesn’t—goes in our giant “Yard Sale for Missions” this fall. 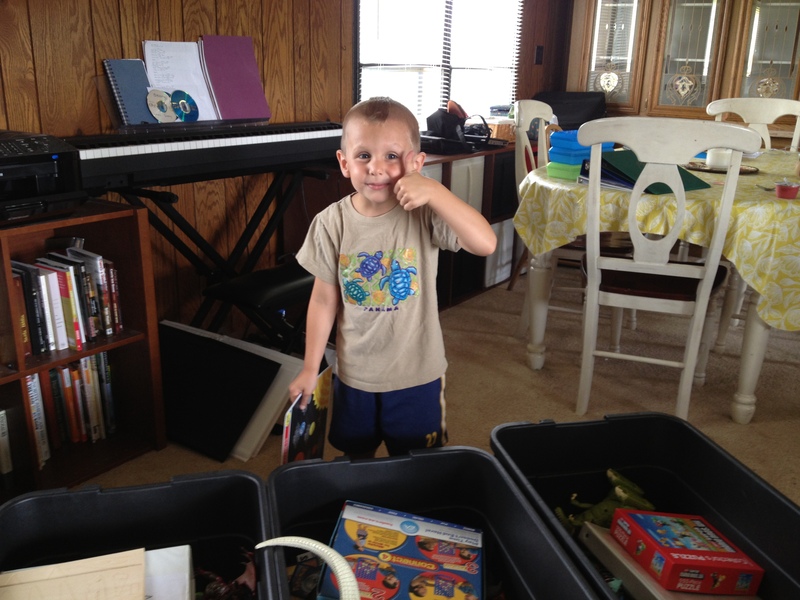 As I listen to each boy struggle with what to “Keep” and what to “Yard Sale!” I have come to an obvious conclusion. We have issues with Stuff! We are not unusual in this regard but it’s apparent to me that we have lots of stuff. Like a giant snowball rolling through life we tend to pick up things without even trying and before long, every available space we have is crammed with our “treasures”. Perhaps we think nothing of it or maybe somehow we think those things will truly bring us (or our kids) happiness. Either way, I wonder if we have more reason than most to be extra careful here, especially as Christians. I think of this with the Parable of the Soils taught by Jesus (Luke 8:1-15). In the third scenario of the four Jesus gives about the “seed” of God’s Word hitting the “soil” of people’s hearts we see Satan will often “choke” us with the very stuff we fill our lives with. Jesus mentions three vices that Satan often uses to choke us spiritually and prevent maturity: worries, riches and pleasures. All three vices are actually our choice to pursue or not. Now, I don’t think Jesus would get much push back from Christians today on the damaging effects of “worries”. However, in our society, I do think people would bristle with the vices of “riches and pleasures”. In a culture that says, “If you can, then you should”, Christians often do and without even pausing to challenging this notion. This verse haunts me because it makes me think that we’re actually tying our own spiritual noose every time we indiscriminately take in more and more treasures, riches and stuff to our homes. This morning with our boys, I witnessed that there is undoubtedly a powerful attraction to our things and we have succumbed to it more than I care to admit but there is an up side to our experience as well. I was reminded that if we can let go of our grasp on many of our things, then we might find that we are also releasing ourselves in the process. In giving things up, we may even find another level of spiritual maturity and fruitfulness awaits us. So if you sense that there is stuff you possess in your house or your life that Satan is actually using to choke or suffocate you spiritually, then it may be time to let go of it and begin to experience a new kind of unhindered spiritual breathing because the reality is that spiritual growth often comes through the stuff we give up; not through the stuff we pick up. As I write this, boxes our piling up high all around our apartment. The thought of moving our family in just a few days brings to mind all the people we are in the midst of saying “Goodbye” to. Have I mentioned that I hate saying “Goodbye”? for something I hate to say, we’ve been saying it a lot lately! We’ve said it at our Trinity Community where we live, the Russian Baptist Church where we’ve made great friends, and this Sunday we’ll say it to Gurnee Community Church (www.gcchome.org) where we’ve been serving for four years! As I look in scripture, I’ve realized that there is a good reason why the word should not sit well with me! Part of this passage rings in my mind when I say the word “Goodbye” to Christians… “and the dead in Christ will rise first. 17 After that, we who are still alive and are left will be caught up together with them in the clouds to meet the Lord”! This dramatic description of the day the Lord returns promises me that all Christians will one day be together again and forever with Jesus Christ! No matter what happens to separate Christians physically from each other in this life, there’s a guaranteed day coming when a Huge, Holy reunion will take place with all of us and Jesus! So if we are going to live like we believe this, then here is my proposal. Don’t say “Goodbye” to other Christians. Say “See you later!”, “Hasta luego!”, “увидимся позже”, or as a good friend of mine said to me once, “See you here, there or in the air!” Say any kind of temporary salutations you like but remember it’s just for now, not for forever and that’s why “Goodbyes” are not for me!!! Here are some of the faces we can’t wait to See Later!!! 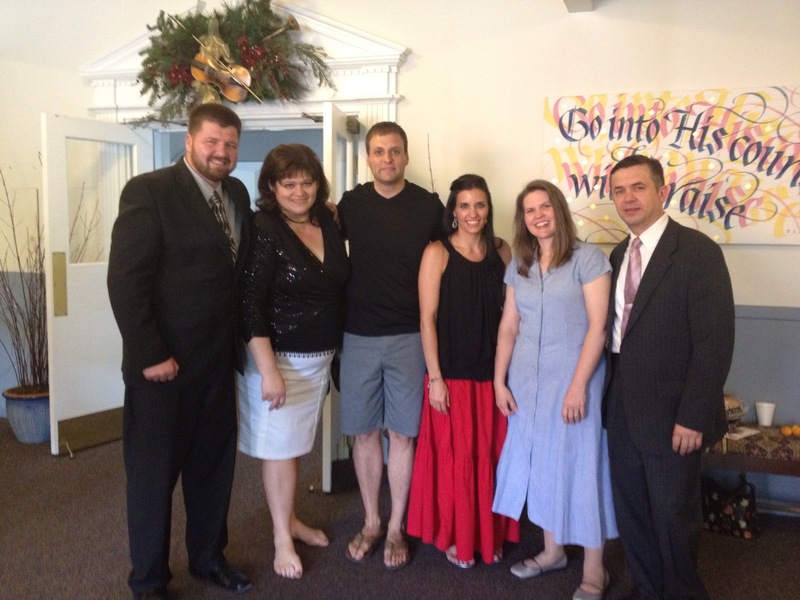 B & I with Oleg, Tanya, Rhonda & Edward! Trinity Kids we look forward to seeing later in Life! There ain’t no party like a Trinity Party! All of us know what it’s like to anticipate a big day. All over the world, in every country there are special days that are more anticipated than others. If they’re not holidays, then they’re wedding days or something else. I still remember when Bianca and I were going to get married. I numbered the days on a piece of paper and hung it in the closet of my college dorm room. A thrill every day for me was getting up to cross off one more number and get that much closer. 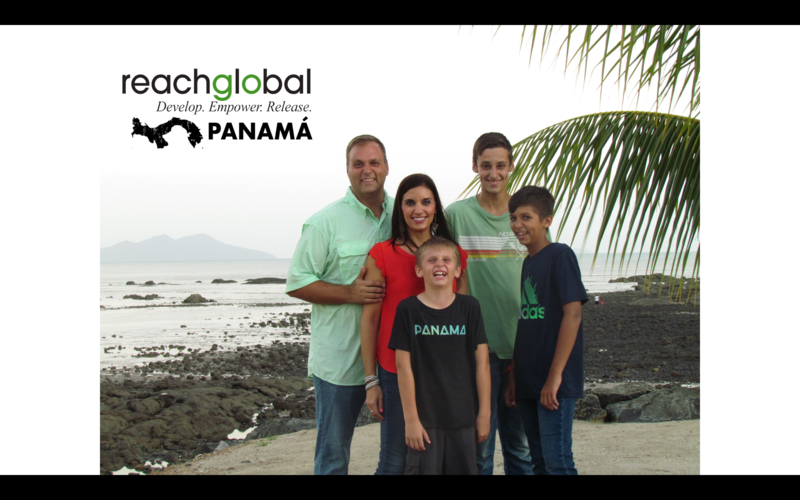 We have some friends in Panama that make us tired when we talk. No I don’t mean we are tired of talking to them. I mean when we talk, we hear about how much they are doing for the Kingdom of God that I imagine how exhausting that would be. They work constantly with a conscious awareness of the fact that there is a day coming when they won’t work anymore. No more evangelism. No more counseling. No more crisis response. There is a day when Christ will return and make all things new and all the labor to expand the Kingdom here on earth will cease. They know this and they live like it. How powerful. On several occasions we have heard them say phrases like, “There’s so much to do and Jesus will be back soon you know”. It is always a refreshing reality slap to hear believers speak this way. Paul lived this way too and I have to think he expected all believers would. But do we? It is so easy to get caught up in the day to day minutia and let this reality slip from our consciousness. It can slip out either side of our mind too. Sometimes are too worried about how we are going to eat that day and other times we are too caught up in the pleasure of the moment and consumed with our own experiences. The only way to keep a conscious awareness in front of us is to live obediently and expectantly like Paul. It is a day worth anticipating like no other. That Day will outshine all the days we have ever been excited for combined. We will finally see Jesus face to face. His glory will be revealed and our work will be done. What a day to live for! Focus matters! We are better when we are focused and believe it or not Jesus wants us focused. Funny thing is…focus has always been a challenge for me. I have always got some new idea or big plan or curiosity to satisfy. But I have to remember that chasing those curiosities does come at a cost. When Jesus has revealed his clear will to me, I have to stay focused. In these verses here at the end of John’s gospel, Jesus has come to Peter to officially reestablish him as the acting leader of the disciples. We shouldn’t forget how significant this talk had to be for Peter. Remember that this can’t be more than a few weeks or days since Peter denied even knowing Christ three times in-a-row. To make it more embarrassing, we know that Peter was even told he would do this by Jesus in front of his friends before it happened. So here in this critical moment, as Jesus makes his will painfully clear to Peter, we see a funny thing take place. Peter gets distracted. Despite the seriousness of the moment, he can’t help but notice that John is following and so he asks “Lord, what about him?” This is eerily familiar to me. I feel like I am reading about myself! Let me bring it home. Over the past six years Bianca and I have had a dream of serving the Lord on the mission field. In the last four of those years we have been preparing for that dream through seminary. There has been a lot of time and that equals a lot of opportunity for distraction. As I see my own tendencies in Peter to chase my curiosities, I am reminded that my focus on what Jesus has asked us to do really does matter – even to Jesus…especially to Jesus! Our call is to remain faithful to serving the Lord in building up His church everywhere we go. We do this by building up believers (Depth) and by sharing the gospel (Breadth) as the Lord gives opportunity. What about you? What has Jesus made clear to you and what else has captured your attention? Are you going to let it keep your attention or will you remember the gravity of the moment and the honor of His call on your life and stay focused on obedience? I pray you will. I pray we all will. We all could learn from Pete!